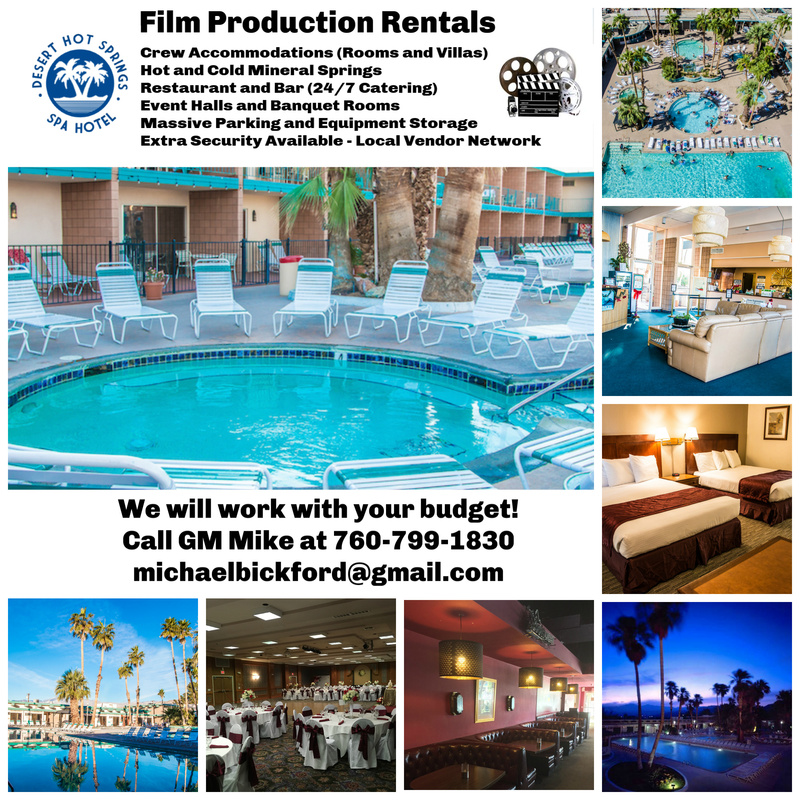 Home»Apartments»Desert Hot Springs Spa Hotel – Mineral Springs, Crew Accomodations, Film Location Rentals, Equipment Storage, Parking, etc. Welcome to a classic example of mid-century modern architecture, the Desert Hot Springs Spa Hotel. 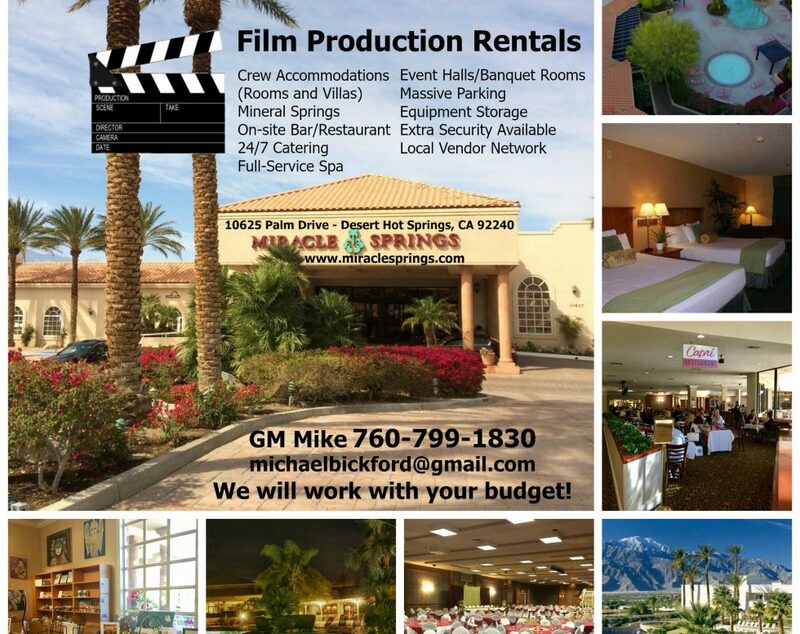 Conveniently located just 15 minutes from the Palm Springs International Airport, under two hours drive from Los Angeles and San Diego with easy access from I-10. Our property is surrounded by the San Jacinto Mountains to the South, the San Bernardino Mountains to the Northwest and Joshua Tree National Park to the East. We offer a variety of well-appointed room types to fit your needs. Our Spa Hotel features fifty comfortable rooms wrapped around a large central courtyard with tall palm trees and eight shimmering natural hot mineral water pools. Each large guestroom features either a king or two queen size beds. Our mini-suites feature a king size bed, sofa bed, and refrigerator. Poolside and mini-suite rooms have a private patio with easy access to the pools. Balconied rooms overlook the pool courtyard, and our mountain view rooms enjoy a spectacular view of the San Jacintos. All of our guestrooms are ADA Defined service-animal friendly. Ideal for family vacations, Villas I, II & III are fully furnished 3-bedroom homes adjacent to the resort with easy access to all hotel services. Each has its own hot tub, barbeque, and yard with lawn, plus Cable TV, Wireless Internet, and Laundry Room. Villa I has a fireplace in the living room and a small den. Villa III has a dining room, a beautiful pool with a waterfall, and two hot tubs. The smaller bedrooms each have 2 double beds, and a sleeper couch in the living room has a pull-out self-inflating bed. Our Spa offers the desert’s most extensive and affordable spa therapies and beauty treatments, featuring 11 luxurious Massages, 10 Facials, 15 Body Treatments & Masques, 10 Beauty Treatments and 4 “Tween” Treatments for teens. The Spa Shop also carries a complete line of the finest spa products, including the Sothys, L’Occitaine, The Body Deli, and Mistral brands used in our Spa Therapies. You’ll enjoy indoor & outdoor dining at the Sunshine Cafe & Sports Lounge, a favorite of both guests and locals for over 30 years. Or sip your favorite beverage in the Sports Lounge or poolside while you sun and soak. The Sports Lounge is open till 2 am. In addition, one Olympic size pool and seven soaking and Champagne pools range in temperature from 90 degrees F to 104 degrees F and are open 24 hours for guests, 8 am to 10 pm for a day pass. 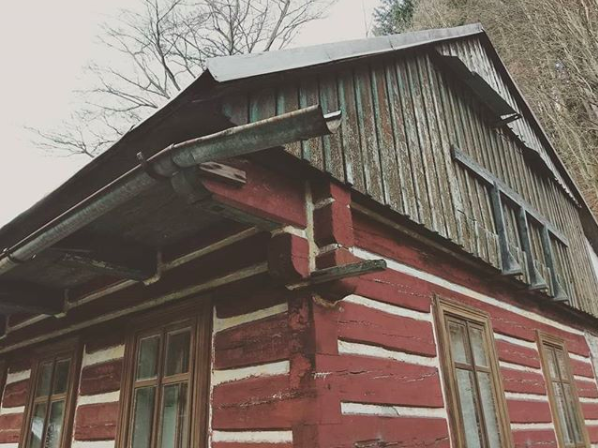 Unlike many natural hot springs, the water here has a pleasant scent and tastes great. Desert Hot Springs City in California is a restful, relaxing and easily reachable destination for visitors who are interested in seeking an authentic spa experience in a natural desert environment. It is one of the most popular international spa destinations, surrounded by natural hot mineral spring waters. Visitors can choose from a wide range of recreation options including Cabot’s Pueblo Museum, Palm Springs Air Museum, hiking in nearby Joshua Tree National Park, Agua Caliente Cultural Museum, local dining, shopping and more.